The next episode of Doctor Who is airing tonight on BBC One at 7pm. Bradley Walsh has joined Jodie Whittaker, the new Doctor Who, as one of her sidekicks. Bradley’s character Graham is an older sidekick, paired with a younger female doctor. Bradley Walsh, 58, has been a fixture on British TV screens for nearly twenty years, starting out as a presenter on the National Lottery. Tonight he stars in Doctor Who alongside 13th Doctor Jodie Whittaker – what is her net worth? Prior to his acting career, Walsh was a professional footballer, playing for Brentford from the age of 18. But injuries forced him to retire from the sport and try an entirely different direction. He quickly became a favourite with Britons, hosting Wheel of Fortune for a year before turning his hand to acting. Roles in Channel 4 series Lock, Stock…, Night and Day, and Torn followed, and Walsh even starred in a Doctor Who spin-off, The Sarah Jane Adventures. His most well-loved recurring role was as Danny Baldwin in Coronation Street. He was a regular on the cobbles from 2004 – 2006. From 2009-2014, he appeared in Law & Order: UK as recovering alcoholic DS Ronnie Brooks leaving just before ITV decided to rest the show entirely. Most recently, Bradley has stuck to presenting and is the host of daytime show The Chase on ITV. And it isn’t just acting Walsh can do – he has also turned his hand to singing, releasing his debut album Chasing Dreams in 2016. It became the biggest-selling debut album by a British artist in 2016. 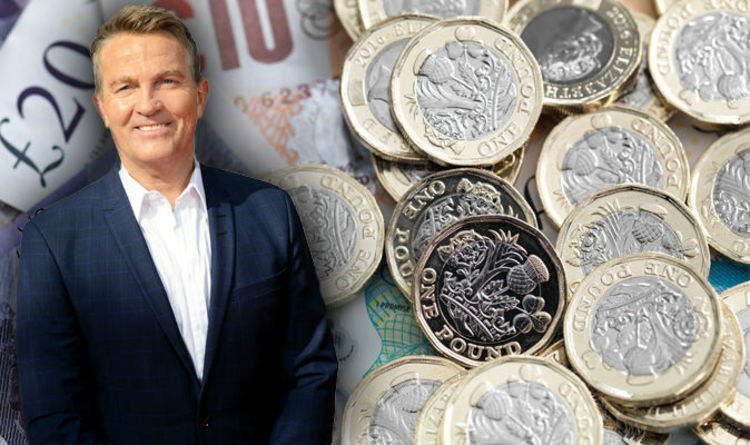 So after years in the public eye and with a highly successful career, what is Bradley Walsh’s net worth? According to Celebrity Net Worth, he has more than £6million in the bank. Bradley has been married to Donna Derby since 1997. Last year, This Morning host Holly Willoughby revealed Donna was one of the original red-lipped and seductive Robert Palmer girls. The couple have a son, Barney. Bradley also has a daughter, Hayley, from a previous relationship. Bradley is not the only TV personality to enjoy a large fortune after years in the spotlight. Kevin McCloud, host of the popular property show Grand Designs, has also built up a considerable net worth. Kevin began his career at Cambridge University, studying art and architecture. It was here that he was a member of the Footlights comedy ensemble alongside Stephen Fry and Hugh Laurie. After graduating he fully embarked on a career in the property market, setting up his own lighting business. But what is Kevin McCloud’s net worth? You may be surprised by the answer.